For watersports lovers, the world is a huge and magnificent playground ! What feeling is more intense than packing your suitcase and board bag to fly to magical destinations ? Whether it’s to make you dream or to give you trip ideas, Spotyride has made a list of 5 sensational destinations for kitesurf lovers. From North to South, from Essaouira to Dahkla, from the Ocean to the Lagoons, the country offers spots with dream conditions ! The lagoon of the Morne beach is considered as THE DREAM SPOT for all kitesurfers. In the heart of the Indian Ocean, with peak winds of 28 knots between May and August and sunshine all year round. 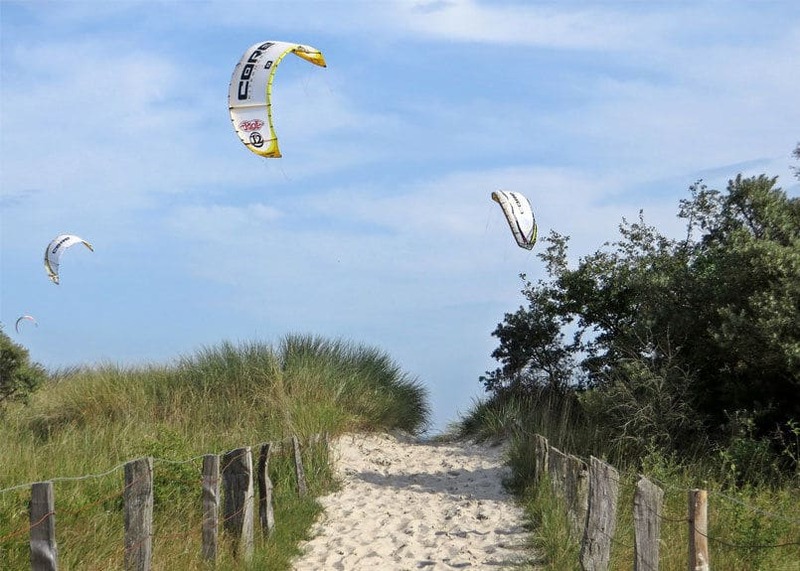 The eastern facade of the country, bordered by the Atlantic Ocean, offers amazing spots for kitesurfing! From Jericoacoara to Préa in the Brazilian Northeast, riders ride buggies on huge beaches, with a steady wind blowing between 20 and 30 knots and water that rarely drops below 20°. In addition to all that the country has to visit, the country is also ideal for kitesurfing. Especially the region of Mui Né, offers breathtaking spots. Wind conditions are excellent from November to March, with an average of 15 to 35 knots throughout the day. On the shores of the Red Sea, the spots of Safaga and Hurghada are the most famous, but you can also take a boat trip to discover the sandbanks of the Red Sea. A strong wind straight from the desert, warm temperatures all year round and no waves… It would even seem that this water has healing benefits! Schedule your trip easier than ever with Spotyride !